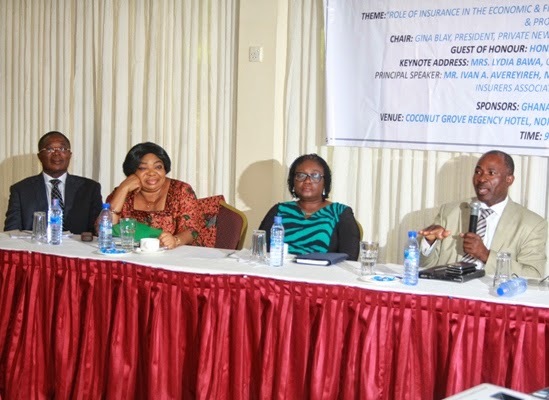 President of the Ghana Insurers Association (GIA), Ivan A. Avereyireh, has called on government to insure all state-owned property in order to lessen the burden on the national purse. By paying premiums to the insurance companies, government need not worry in a case of any unforeseen disasters because the insurers would handle them, according to Mr Avereyireh. “The national purse is becoming smaller by the day, so just pay the premiums, give the problem to the insurers and let them battle with it. The simple message is that government must insure everything. In order for government not to divert attention to finding money for things that have been damaged, what we are saying is that it should simply put that in the hands of insurance companies. So when the event occurs, the insurance company will come in and help handle it,” he said. He cited the recent fire outbreak that gutted the Tema Central medical stores, stating that a lot of money could have been saved if government had insured the facility. “This would have not been the case if the place was insured. All that the health authorities needed to do was to go to the insurance company, get the money and restock all the drugs that were burnt,” Mr Avereyireh disclosed this at a seminar organized by the Private Newspaper Publishers Association of Ghana (PRINPAG) to inform journalists on the insurance industry in Ghana on Thursday. Commissioner for the National Insurance Commission (NIC), Lydia Bawa noted that insurance helps to mitigate the risks faced by businesses. Ms Bawa said that the major impediments faced by insurers include the lack of knowledge and trust for insurance companies by Ghanaians. “The victims of the recent fire outbreaks in our markets who had insurance have certainly found it easier to restart their businesses than those who did not have it at all. It also promotes the development of long-term funds which are used to finance social and economic infrastructure. As at December 2014, investment in insurance in Ghana was more than GH¢1.5 billion and this is expected to grow significantly in near future considering the average annual industry growth rate of about 30 percent. President of PRINPAG, Mrs Gina Blay, in an address, stressed the need for journalists to acquire more knowledge about insurance, which promotes economic development through various channels.